The retirement is taking place of Mrs. Anne Keogh, as deputy principal and teacher in Holy Family BNS Askea. Mrs. Keogh has been on the staff for thirty two years and previously was teacher and principal of Ardough NS. A native of Kildysart in Co. Clare, Anne has worked tirelessly for the education and welfare of the children in her care. Anne taught in mainstream for many years and her professionalism and diligence helped her children to achieve their full potential. In latter years she taught as a resource teacher and was the co-ordinator for the school for all applications for extra help for children with special educational needs and ensuring that the help was then put in place. Here, her patience, kindness and expertise were put to very good use. Parents could rely on her to get the best help for their children and to advise and help them in how to proceed. Anne has been a wonderful member of staff; always helpful to new teachers in taking time to share her experience and expertise. As a post holder, she sourced funding to develop basketball courts, the library and the provision of the fence among many other things. She will be sorely missed but we wish her all the best in her retirement. There will be a celebratory mass at 10.30 in Holy Family Church Askea on Thursday30th June. There will be a presentation and a retirement function afterwards in the school hall. Everyone welcome. 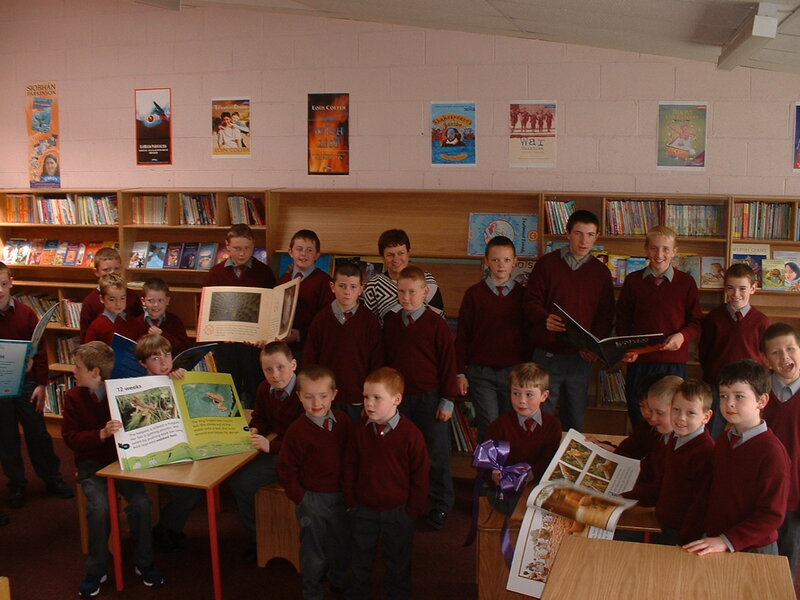 Photo shows Anne Keogh at the opening of Holy Family BNS’s wonderful library which Anne established.